Ioan Gruffudd is still "Fantastic"
Ioan Gruffudd spent two hours on Twitter answering questions from fans, with some comments coming from his wife, Alice Evans Gruffudd. 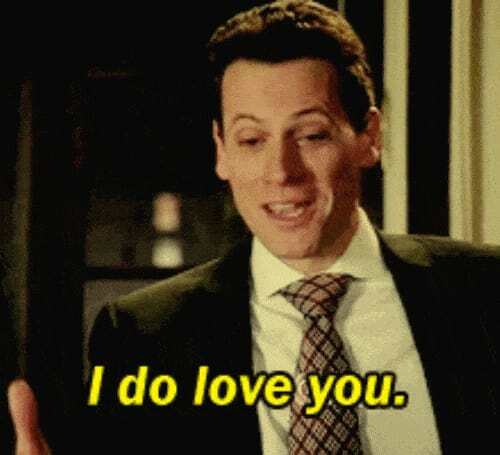 Ioan Gruffudd has always been an amazing actor, whether on film, TV or stage. This Friday, he showed his dedication to his fans spending two hours on Twitter talking to them and answering whatever questions they had, with a little commentary at times by his wife, Alice Evans Gruffudd. His favorite character to play, ever, was Henry Morgan. When asked if Henry and Detective Martinez would have ended up together, he responded "Oh, definitely! "His favorite time period to film for the show was the 50s with Abigail. He still has one of Henry's scarves, but didn't keep any other mementos as he was so sure that the show would be renewed. He was understandably heartbroken when it was cancelled, and if the emojis were any indication it lead to a night of tears, sad faces and some beer. He mentioned that he loved working with the bird, that both she and the dogs were well trained. Alice, his wife whom he met while filming on the other hand, was not. I interjected that perhaps it was because of all her improv, knowing from a previous time speaking with her that she had improved during the audition and it had thrown him off. She said that they hadn't had the chance to improv as the animals were the one to do that. When asked what he would do if someone spelled his name correctly on a coffee cup, he said that he would probably cry. It is exhausting to have a difficult name! He proposed to her in Havana with an ice filled mojito, to which I must say I'm glad it didn't cause her to choke.... Drink proposals always seem a little risky to me. She definitely is the boss in the house, though she does call him "Mr. Fantastic". Of the two he is more squeamish, which I am sure made his work days at Forever very difficult. It makes sense, though, as she has been known to hang out with vampires over on The Vampire Diaries and The Originals. He was very kind, and very open with the fans, and brought a lot of humor even to the mundane questions. It's hard to find a celebrity with that kind of dedication and patience for his fans, but Ioan definitely had it.